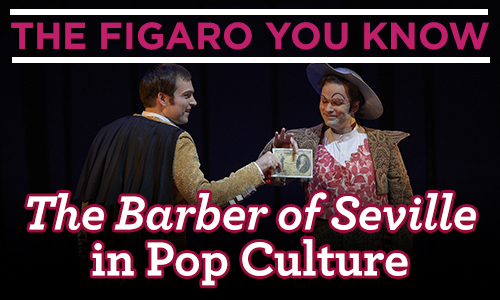 If you think you’ve never heard of The Barber of Seville, think again! Rossini’s toe-tapping, humdinger of a score has been used in popular culture since its premiere in 1816. If you’re anywhere close to the Four Seasons Centre until May 22, you might hear a familiar sound echoing through the building—the famous "Largo al factotum" aria, with its legendary “Figaro” refrain. Still not ringing any bells? Sit back, relax, and get ready for your pop culture whirlwind tour through Rossini’s comic masterpiece. April showers bring May flowers, and the laughter and praise for our production of The Barber of Seville is raining down in buckets! Read the reviews and see the images, tweets, and videos that are pouring in for Els Comediants's unique rendition of Rossini's classic comedy.